Shepherd of the Hills Lutheran Preschool subscribes to Proverbs 22:6, “Train up a child in the way he should go and when he is old he will not depart from it.” Thus we view children and families as a precious resource given by God and acknowledge our responsibility to assist parents in providing for their children’s nurture and care. We will provide a Christian early childhood setting in which three, four, and five year old children are helped to grow, learn, and develop as God’s children, aesthetically, emotionally, intellectually, physically, sociably, and spiritually in a developmentally appropriate setting. We see the preschool as a significant opportunity to meet the needs of Christian early childhood education for the children of the congregation and the community. We have been serving the Maltby and Snohomish communities since 1985. We always welcome class observations. 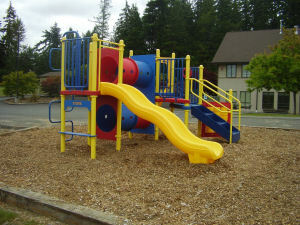 We are a Lutheran Preschool located in Maltby, WA. Our preschool serves: Bothell, Monroe, Snohomish, Woodinville, and surrounding communities.